Something about fall and the cool crisp air makes me love Halloween. It is kind of the start to the holiday season and of course you doesn’t love a cute kid wearing an adorable costume. Halloween means delicious candy will find its way into your house, if it hasn’t already. Lots of times we think that those “fun sized” candy bars are perfectly size … and they are if you only eat 2 not 15. Every year I feel like the fun-sucker when it comes to Halloween candy. I love a small amount of candy, but it is definitely a treat that can be over done. There are lots of neat food items that you can pass out that aren’t candy - pretzels, popcorn, crackers, fruit cups, etc. I enjoy reminding people of ways to provide trick-or-treaters with goodies that aren’t always food related. There are amazing little goodies that you can find at your local dollar store that are inexpensive and the kids will love them! Why would you want to go through the trouble to pass out non-food related goodies? Well lots of kiddos will end up with tons of candy by the end of Halloween. Most of those goodies will get eaten by themselves or their families. Some candy is fine, but most of us don’t need ALL that candy. Some children have food allergies or intolerances and that means that they can’t eat a lot of that candy that they get. That is definitely less exciting for a child who can’t eat what you give them and makes their parent’s worry that they might accidentally eat something they are allergic to. Offering non-food treats is helpful because ALL of the kids that you pass those items out to will be able to enjoy them. The Teal Pumpkin Project - I have talked about this initiative over the years, but I wanted to bring it up again. This is a movement to provide safe, non-food related treats for children. Putting a teal pumpkin on your doorstep means you have non-food treats available, such as glow sticks or small toys. This simple act promotes inclusion for trick-or-treaters with food allergies or other conditions. Place a teal pumpkin in front of your home to indicate to passersby that you have non-food treats available. I encourage you all to become a supporter of the Teal Pumpkin Project and work to help provide healthy and safe treats for children this Halloween! I feel like with this blog I haven’t written as much as I did the first time I was pregnant. I think I was so focused on learning about the process and how things change. Writing about that process was helpful for me personally. All those posts are totally still up on the blog and you are welcome to read back through them. This post was focused on the 2nd trimester and that is where I find myself once again. I wanted to talk about how things are different this second time around. I feel like I have less time to just think about being pregnant, because I am just trying to keep up with the rest of life. I had tracked all the calories that I ate the first time I was pregnant. I used My Fitness Pal and I love that app. It worked great for me. I found that tracking calories was super helpful. This pregnancy, I haven’t tracked anything. I have been trying to monitor weight gain, but I don’t feel like I am overeating. I think because I am busier than I was the first time around, I have less time to eat and even at meals I don’t feel like I eat as much as maybe I use to. I need to replace the batteries in my scale and continue to track weights to help ensure that I don’t over indulge too often. I did prenatal yoga weekly with my first pregnancy. I had that as major priority and it was easy to get to classes. I happily spent the money and I loved it. This time around it is harder with a little one at home to take care of him and then also fit in classes. Plus they are an added expense and we are trying really hard to save money to help support having a second kid. That has made me not really want to spend that money. I do want to get back in the habit of trying to go maybe once every 3 weeks. I exercised almost daily with my first pregnancy. Again I wasn’t having to look after anyone else and so that was easier. I am still working out about 3 times a week, but then I do walk the dog and try to get in a long walk daily. That has been tough though because by the end of the day my energy levels are wipe. Between the job, cooking, cleaning, trying to exercise and then getting ready for the next day it is a lot to manage. So I am doing really well if I can get in an aerobic work out 3 times a week. I use to have more relaxation time. I actually had time at the end of the day to sit, watch TV and just relax. That doesn’t happen any more. From the cleaning after dinner, packing lunches, laundry, dog walking, etc there is no time to sit down between 8-10pm. It is go, go and go. When I do sit down, I fall asleep and just put myself in bed. So I kind of miss some of that self-care. I know that when this second child arrives, I have will to set aside some specific time for self care, because otherwise it will not happen. I am not as stressed throughout this pregnancy about being pregnant and the time is just flying by. I can’t believe that I am already at 21 weeks and we are over half way there. We have seen the baby on ultrasound and the baby is doing great. I feel like in the craziness of life … this pregnancy is going by quickly, which is nice, but also surprising to me. I love not having to worry about purchasing lots of pregnancy clothes. I had a bunch of friends let me borrow clothes when I was pregnant last time. That was awesome. I bought some other clothes, but it was really nice, not to have to worry about what to wear. I have all the things I like and that is a nice feeling. We took the Bradley Method classes during my first pregnancy. This time we aren’t planning on taking any formal classes, but I do want to pull out my Bradley Method book and work on some of the exercises and read through the notes from the class. I also have our birth plan and then packing list for the hospital all saved and I will need to pull that up and have that on hand. The main thing that I am worried about it just financial concerns with two children. Cost of two children with “daycare” and just the stress of caring for two children. That is the overwhelming part, but it is manageable and I am working on keeping a level head about those things. This pregnancy is definitely different than my first one, but I think that has to do with our different my life is now. We live in a different place, we have another child, my husband has a different job and we are a few years older (maybe wiser). It is a blessing to be able to be in this position again and we are praying for a healthy and happy baby! We had our Gender Reveal party this past week and were excited to learn Baby Busenburg #2 is a going to be a boy! I had the opportunity to write up a book review on Lily Nichols newest book, entitled Real Food for Pregnancy. This is an excellent book! Can I just tell you that I have never read a nutrition pregnancy book like this before. I was so excited to read a book filled with useful information and practical guidelines for practitioners and also for the general public. Lily did an an amazing job talking about nutrition recommendations for this important time in lots of a woman’s life. I also really appreciated the push for real food and using full fat food items made me happy. I love good food and often during pregnancy it is hard to eat and so having something nutritionally rich and delicious is a huge win! Disclaimer: I was given this book for free in return for writing a review. I was dedicated to writing what my thoughts and professional opinion was as a Registered Dietitian, despite getting this book for free. All the information and feedback provided below are my true feelings and recommendations regarding the information written in this book. To start off the book, Lily answers the question of why real food? I love that because most women get so many mixed messages about nutrition, I love that she just answers why eating whole food matters. She discusses what real food looks like during pregnancy and the different food groups. She talks about mindful eating and meal timing and how to choose those healthy options. Since that is the title of the book, I love that she covered that in chapter 2. Chapter 3 dives into foods that build a healthy baby. I love these recommendations, because they aren’t ways discussed with your OB or midwife. Foods that she highlights are eggs, liver, meat on the bone, leafy green, seafood, full fat diary and why vegetarianism is very challenging when pregnant. So I have admit that because of this chapter I have been eating 1 egg every morning throughout my entire pregnancy. I recognized that I wasn’t getting enough protein in my diet in the morning and that helped with my nausea, plus eggs are a source of choline. “Egg yolks and liver have, by far, the highest concentrations of choline compared with any other foods.” - p.30. Choline is helping your baby’s brain to develop appropriately and most women do not get near enough choline from their diet. On the flip side there is a whole chapter devoted to foods that don’t build a healthy baby in chapter 4. I thought this was a refreshing way to look at the commonly forbidden food items and consider eating on the “safe side’ versus risking nutrient deficiencies. Who doesn’t love a chapter of meal plans. Chapter 5 goes through meal plan ideas and 7 days worth of real food meal plans for you. There is a whole chapter devoted to supplements. In chapter 6, Lily covers everything from prenatal vitamins to chia seed, probiotics and gelatin. I learned so much from this section and just understanding why my own diet would be insufficient and how my prenatal vitamin might be less than perfect as well. What pregnancy book could be complete without a chapter on common complaints from nausea to heart burn and weight gain. These topics are covered and recommendations given on how to deal with common issues for pregnant women. Another topic near and dear to my heart is exercise. Chapter 8 discusses physical activity and pelvic floor strength. I am so glad that Lily discusses the importance of exercise throughout pregnancy and how that looks as the weeks and months go by. Throughout pregnancy women end up with lots of lab work that is drawn. Lily provides a breakdown on what lab tests are normally run and what speciality labs you might want to ask your health care provider about. Chapter 10 and Lily’s discussion about toxins was very eye opening for me. I ditched my plastic containers in my kitchen and switched to all glassware. After reading this chapter I knew that I had to make some chances and now (being pregnant) was as good a time as any to really clean up our house and change some of our habits. The next chapter was short and focused on stress and mental health. This was a good reminder that this phase can be stressful, before, during and after pregnancy and being mindful of that increased stress is important. The final chapter was about the fourth trimester. I am a strong believer in this last part of pregnancy and it is commonly the area that is overlooked and not focused on. This time after baby arrives is quite the transition period for you physically, emotionally and mentally. Know how to cope during this time and then setting realistic expectations will help to set you up for success. Why I love this for ALL women! I wanted to focus on why this book is a must read for any woman who is thinking about being pregnant or wanting to have children in the future. This is a great and easy read. The information provided by Lily is extremely easy to understand and then if you have follow up questions about the research that she presents, all the citations are at the end of each chapter. There is SO much information in this book and I would say most of it is very eye opening. I love her philosophy to encourage women to eat real foods and not to try to follow some unrealistic “diet.” Her recommended eating habits should be part of normal routines if we are pregnant or not. Why I love this ALL Registered Dietitians! Of course I had to share my love for my fellow RDs and encourage you all to read this book as well. If you happen to work with women and/or especially pregnant women then this is a MUST read for you. The research that went into writing this book is amazing and all the references are right there for you. You can easily share this with any OBs that you work with or other primary care physicians to help educate them on why a real food, healthy diet is important for all women, especially those who are pregnant. 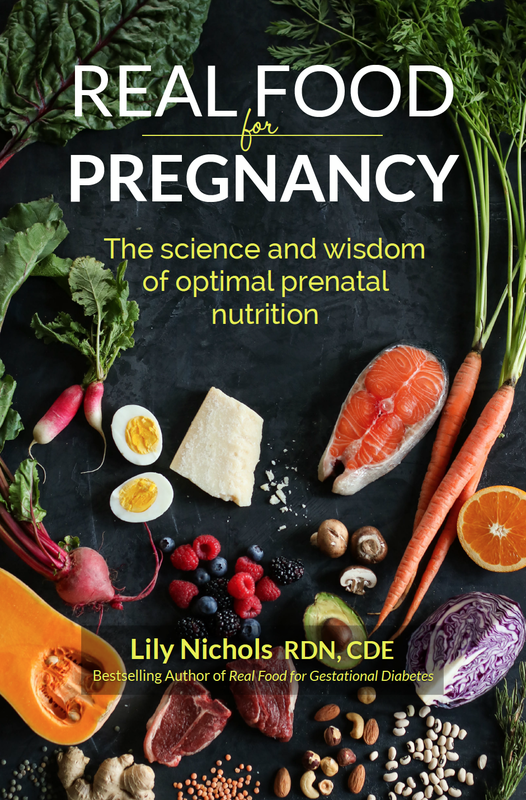 This is an easy read, even with all the research that is cited, and it touches on all the key nutrients that go into having a healthy pregnancy. This book is filled with so many amazing recommendations and backed with evidence-based research. It is a resource that should be used throughout healthcare to help provide women with the best tools to have a successful pregnancy. I work in a NICU and I see sick women having sick babies all the time. Healthy women tend to have healthy babies and that is better for all involved. We can’t keep all of these babies out of the NICU, but following the recommendations in this book definitely sets women up to be more successful and help care for their unborn babies to best of their ability. Check out Lily Nichols, RDN, CDE’s webpage HERE. I have been debating this idea of getting rid of all the plastic food containers in our kitchen for awhile now. I have been going back and forth and how feasible this would be and if it is really necessary. Some of the containers that we have are from 2012. We got them when we got married and now it is 2018. That seems like WAY too long to keep plastic containers that are storing food items. I wash them, but they are looking a little rough. With that in mind, I was reading Real Food for Pregnancy and there is an entire chapter devoted to toxins. That was the chapter that really made me stop and decide to order more glassware. I am going to write up a whole review on this book, once I am finished reading it. I am almost done and I have to say it is such a great book for anyone who is expecting, planning on having children or counseling pregnant women. It is a must read! 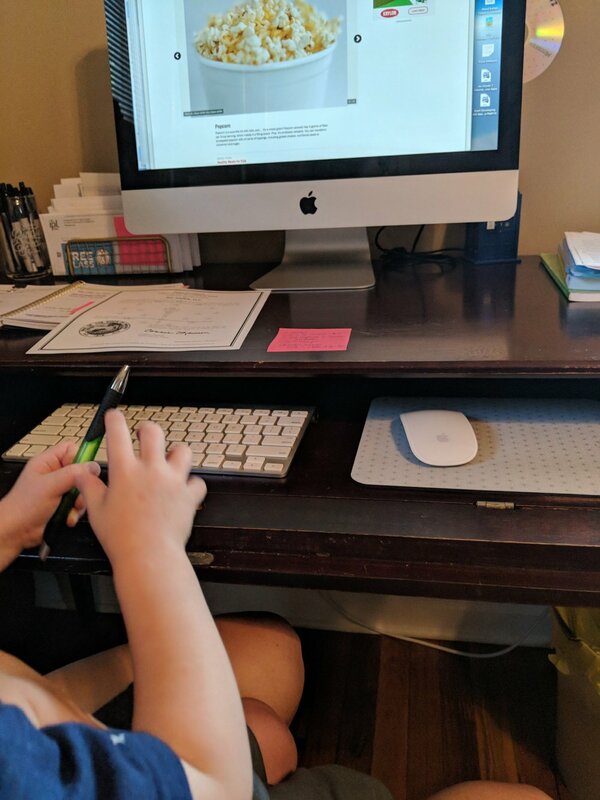 There is a blog post that Lily wrote up on this topic as well that I thought I would share. The big take away so questioning storing foods in plastic and reusing them over time. That is practice has not been shown to be healthy for pregnant women, but also can affect just healthy individuals as well. I think this information applies to pregnant women obviously, but also all people. Those toxins are in these products and will have an affect on us whether we are pregnancy or not. I started to also think about all the times I am using plastic throughout the day. The cream cheese I got is in a plastic container, the bagel is stored in a plastic bag, my reusable water bottle is plastic, and then I am putting all of our left-over food in plastic containers in the refrigerator. I work hard to limit our consumption of certain products and we recycle the plastic that we do use. But I think there are always ways that we can do more. How many times are you coming in contact with plastic throughout the day? I took all the plastic containers out of the cabinets and started to put them out on the counter. It was amazing how many containers I had accumulated over the years. Some of these containers are older than others and I don't feel like they are suppose to last as long as they do. I have had some of this Rubbermaid since 2012 or before. That is over 6 years and I feel like heating and cooling plastic for that long and eating food out of it isn’t the best of ideas. I decided to go with glassware instead. Glassware can last for 6 years and hopefully more and you don’t have those same concerns as with plastic. I purchased a set of Pyrex glassware with plastic lids. The lids are replaceable and you can get new ones if needed. I ordered this set off of Amazon and then got some small 1 cup containers as well for packing lunches for work. I don’t have all the plastic and glassware in the picture below, but it is the majority of what we have. I have been slowly getting rid of the plastic and replacing containers with glass instead. I encourage you to take a look at all the plastic that you encounter throughout the day. Are there ways that you can reduce your plastic consumption? Can you reuse or recycle some of those items? Do you have to use plastic as all? What if you looked to get rid of that plastic and replace it with another product like stainless steel or glass? This isn’t suppose to a post to scare you, but instead make you think and find ways to be healthier and help our environment along the way! When it comes to exercising during pregnancy there are lots of types of activity that you can do. Any type of exercise can be good. Obviously, contact sports are discouraged, but other activities like running, swimming, aerobics, etc are all great options. I specifically wanted to focus on running when pregnant. I should also say that any type of activity you were doing prior to being pregnant you can continue while you are pregnant. If you never ran before in your life, maybe don’t start running right away while you are pregnant. Ease into that and start with walking or using the elliptical at the gym first and work up to that more strenuous activity. If you run in the past, that is totally something that you can continue while you are pregnant. Being active during your pregnancy is good for you as the mom and good for baby. Exercise has also been shown to help with blood sugar control and blood pressure control as well. Both as wins during pregnancy because you do not want to develop gestational diabetes or pre-eclampsia. What does running look like when you are pregnant? Well every time you lace up your shoes and head out will be a different adventure. That is the thing about being pregnant, your body changes every day and that makes any activity different and more challenging as the months go by. With my first child, I ran all the way up through about 37 weeks gestation. I got too uncomfortable at the very end to try to run. I went to the gym and used the elliptical and that worked out well. I still got in some aerobic activity, but didn’t have stress on my belly and joints that comes from running. I would encourage you to keep running if you did that prior to becoming pregnant, if you weren't a runner, then I would recommend start with something like walking before you start running. 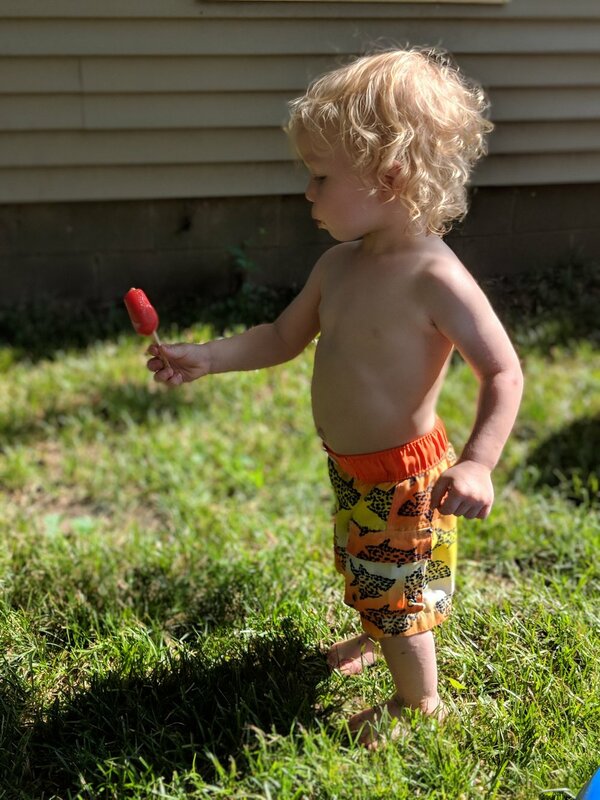 What does running look like with a 1 1/2 year old? Well I would say running with one child is a lot different than running with no children while pregnant. I have always taken William running with me and now that I am pregnant for the second time that isn't changing. He does well in the stroller and I think it is good for him to be out and about. Now I just push a stroller in front of me while running. This is a definitely a work out. It builds arm strength to be out there pushing a stroller with a 27 pound child in it, but it is good exercise. I am definitely not breaking any speed records, but getting out and working hard is definitely important. I really enjoy having this time and ability to work out and maintain my health and the health of my future child. Any form of exercise while pregnant is so important to help with blood sugar control, fluid management and weight control. It has definitely been proven to be make for a better labor process and of course health outcomes for mother and baby. Finding some form of activity is key. I also really enjoyed prenatal yoga when I was pregnant the first time round. Cost is definitely more of a factor this time and I haven't been able to go on a weekly basis. I need to work hard to do some of the stretches and poses at home, but we know how tough that can be to actually follow through with at home. Finding different forms of physical activity can help ensure that you stay healthy throughout this entire pregnancy process. Go at your own pace. Don't try to set any speed records. Your body is already working hard carrying yourself and a baby. Don't push yourself super hard. Ease into the run and work up on intensity based on how you feel. Stay hydrated and plan potty breaks. It is key to keep fluids handy when exercising and then also know where close restrooms are, because those might be needed more too as time goes on. Keep your energy up by eating before and after. Throughout pregnancy good nutrition is key and having a small snack before and after you exercise can be helpful. Again make this a healthy option and include some protein to help with recovery after you finish your work out. Well I have an announcement to share with you all ... We are expecting another baby next year in February! You might remember back in 2016 we shared with you some exciting news about our first child. It is kind of crazy to think that next year we will have baby #2 here and we will be parents to two little ones and one dog. It has definitely been an adventure being pregnant again and with one child running around, but it has been good. I am at 16 weeks and really appreciating the 2nd trimester. That surge in energy and lack of nausea has been a relief. Being pregnant for the second time has been smoother than the first go round. Obviously, knowing what to expect makes it easier. It is going quickly and hard to believe that we are already in that 2nd trimester and this little one will be arriving in no time after the craziness of the holidays. I am trying to get back into my exercise routine now that I have energy to devote to working out. I am also trying to work in some prenatal yoga classes. I don't have the time or money to go to a class every week, but I am going to try to go two times a month. I really enjoyed and benefited from prenatal yoga when I was pregnant the first time with William. Food is also less repulsive now so I am trying to get back in the habit of making better meals at home. I am excited to share this journey with you all like I did the last time. It is a little different since this isn't all new to me, but it neat to get to experience this amazing process for a second time. If you have any pregnancy related questions or topics you would like me to address on the blog, let me know! Excited to welcome this second little one around February 16th, 2018. I had a special request to write up a blog post about probiotics. I thought this was a great idea. I hadn't written about probiotics specifically before. I had discussed gut flora and keeping your GI tract healthy, but not specifically through the use of adding a probiotic to your diet. So I thought I would start with a definition of a probiotic. A probiotic is a substance that stimulates the growth of microorganisms, especially those with beneficial properties in the intestinal flora. Probiotics are live bacteria and yeast that are good for your digestive help. Our body is full of bacteria (good and bad). You can find probiotics in foods and also you can take supplements. There are lots of different types of probiotics with different health benefits. Lactobacillus is a common probiotics that you commonly find in yogurt and fermented food items. This strain can help treat diarrhea and also help people who are lactose intolerant. Bifidobacterium can be found in some dairy products. If can help to ease symptoms of irritable bowel syndrome. Saccharomyces boulardii is a yeast probiotic and it can help fight diarrhea and other GI issues. Probiotics are helpful for your GI tract. Your intestinal tract is often known as a "forgotten organ." Your gut needs to stay balanced and prevent a leaky gut (where your intestine doesn't absorb nutrients appropriately). This leaky gut can leave your GI tract vulnerable to other infections or illnesses. These probiotics containing foods include yogurt, kefir, sauerkraut, Tempeh, Kimchi and others. I love this list that I found on Health.com outlining a list of foods that are good sources of probiotics. I like the idea of getting probiotics from food sources. I think that your body can use and metabolize them better compared with a supplement. Plus supplements are not regulated the same way as food. Often with a supplement you are only getting one type of probiotic, compared with eating the food item you are eating multiple types of probiotics. Also just keep in mind that probiotics are not the same things as prebiotics which are dietary fibers that serve as the food for friendly bacteria that are already in the gut. The list of ailments that probiotics can help treat are long. Everything from skin eczema to Crohn's disease. Everyone's experience is going to vary and the type of probiotic that you take could help with a different issue. I believe that working to keep your intestintal tract functioning optimally will help you stay healthier and feel better. There was a guide which outlined various strains of probiotics and which strain helped with which issues. You can find that article if you CLICK HERE. I am not going to rewrite all of those recommendations, but know that resource is available if you need it or would like to look over it. Some other things to consider when it comes to intestinal health is fluid intake and exercise. Your GI tract benefits from physical activity just like your heart, lungs and brain benefit. Exercise helps your body to move through food you have eaten and absorb what is needs from that food and then excrete the waste in a timely manner. If you have had issues with constipation or just being irregular with bowel movements, work to add in some physical activity (even walking) into your day and that can help keep your GI tract moving appropriately. Fluid intake can also have a big role to play on how well your intestines work. Staying hydrated and focusing on drinking enough water is helpful. Your intestinal tract flora is able to change based on your environment and what you eat. If you had an illness and had to take antibiotics, that medicine probably wiped out that good bacteria that had colonized in your gut. Often a doctor may prescribe a probiotic at the same time as a antibiotic to help lessen that breakdown of the gut flora. What you eat can have an impact as well on helping your gut to re-colonize with healthy bacteria. There have been studies showing the gut flora in a healthy weight adult who regularly exercises compared with an overweight adult who never exercises and they have different microorganisms living in their GI tract. What you regularly eat has a role on your gut health. Aim for a healthy diet - filled with fruits, vegetables, lean protein, dairy and whole grains. Those healthy foods will help fuel to healthy bacteria to grow in your intestinal tract. Do I think you need to take a special probiotic supplement to help with your gut health? No, I don't think you HAVE to take one, especially if you are eating this probiotic containing foods and an overall healthy diet. If you have noticed GI issues and try some of these probiotic containing foods and if that doesn't help, you can try some of the supplements and see if that helps with your symptoms. I think it is important to talk about gut health and helping people know that there are ways to aleviate some of these uncomfortable symptoms. Hopefully that is helpful to provide you some insight into what probiotics are and how they can help your body. If you have any other questions or ideas for topics you would like me to cover on the blog, let me know! I wanted share with you all who follow along with RD Anna about some exciting new opportunities. I have had some new endeavors that I am getting involved with this fall. Some of your may remember that I did some outpatient pediatric nutrition counseling at my last job. I really enjoyed working with a feeding clinic and doing some weight loss classes up in Lafayette, IN. I haven't had the opportunity to do any of that in the last several years. I am continuing to work my full time job as a NICU dietitian as well. I wanted to make that abundantly clear as well. This is going to be a fun, side job that I am excited for and have been eagerly anticipating for the past 6 months. There was the opportunity to create a partnership with a business in Carmel, IN and I had to say yes! I use to work with Megan, Mini Minds business owner, at St. Vincent. She left her job at St Vincent as a social worker to launch her own private practice as a therapist/counselor. I have really admired her journey and I am so excited to learn from her about owning her own business. Mini Minds has grown and expanded into an amazing therapy office servicing the Indianapolis area. Make sure you check out their website and all the amazing services that they offer. Of course, the newest line of services including nutrition therapy and education options. As you may remember I made RD Anna a LLC this past year and then I also worked to get my NPI so that I could start charging insurance companies for nutrition counseling services. This has been a big step for me, because I have never owned my own business before or offered nutrition services for payment before. I am really excited to partner and work with Mini Minds and get to provide nutrition education/counseling for those clients and their families. We are getting started with a workshop class this upcoming weekend on Back To School: Putting Together Healthy Snacks for Your Family. That should be a fun session trying new snacks, talking about healthy options and then even making some delicious recipes. I also have plans for launching a 3 week cooking class series in October focused on shopping and cooking healthy family meals with your children. There are lots of neat things that I am hoping to do in the fall with this opportunity. So stay tuned for those exciting announcements about RD Anna! Being a Mom is hard. It is a full time job and it is definitely the most rewarding thing I have done, but it takes a lot of energy. If you pair that with working another job full time it leaves you not that much time to pause and think about things. I love my day job and I love my child. I couldn't imagine now life without either occupation. I have also being working on a variety of side projects and to be honest I now feel that I am very overwhelmed with everything. I think I said "yes" to several opportunities and now life has shifted a little and that has made for a crazy next couple of months. I am determined to do all these projects to the best of my ability, but I think I might be maxed out when it comes to taking on anything else at the moment. I have decided that I need to devote some serious time to a few of these side projects so that I really focus on getting some quality writing done. I have do some editing on a chapter of a book that I co-authored as well as writing an article for a pediatric nutrition publication. These are all neat things, but I really need some creative time to focus on them. I decided to finally take my Mom up on an offer my son, William over night. I know that might not seem like a lot, but we have never spent a night apart and he is 1.5 years old. This is just reality of life. With so much going on I really need some help and that involves giving me a day to work on side projects. I was hoping to use that day to do writing, but I realized that I am going to be teaching a workshop that day instead, which is still a great thing to do and I am excited for the opportunity to do more with RD Anna, LLC. Some times with the realities of life you need help. Raising a child or children takes a village, especially if you want to continue to stay engaged with your career and continue to to be the best Mom you can be. I just wanted to encourage you that it is ok to ask for help and that doesn't make you any less of a Mom. All of us tend to be busy. We are often running around trying to make to work on time, picking up children from day care, trying to find something healthy for dinner and then getting the children to bed at a decent hour. Lots of us barely have time to get all those things done in a day. When it comes to meal preparation for the week, this can get overlooked and not made a priority. I am guilty of this as well. Grocery shopping and preparing meals can get so old, because you have to do it week after week and something it is just not well thought out. 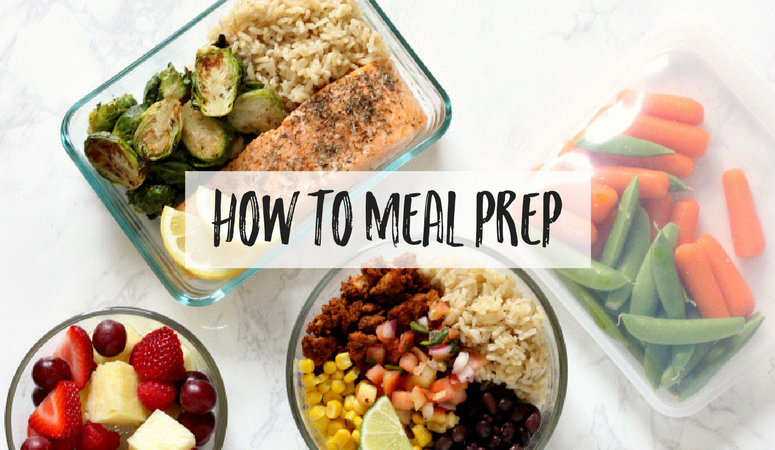 I am hoping to encourage you to make the time meal prep for your week so that you can set yourself and your family up for success. First step is to make sure you sit down and make out a grocery list for the week. The items that you need to prepare a list of recipes that you want to make throughout the week. Then head out to the grocery and stick to that list. When you bring those food items home, set aside about a hour to cut up and get that food ready to cook with for the week. This is often the part that gets overlook. Taking the time to wash all your produce, chop it up and put it in containers will drastically increase your cooking time throughout the week. This will help you so much when it comes to making quick and easy meals at home for your family. You can even cook up some meat as well if that ends up being helpful for lunches throughout the week. I would encourage you to start with simply washing, cutting up and putting your produce in containers so that it is more easily usable throughout the week. I wanted to share a couple of recipes with you for some great ideas on how to make a healthy breakfast ahead of time so that you are starting your day off on the right foot. I love this recipe because it is super easy and delicious. Simply mix together rolled oats, yogurt, milk and some chia seeds. This can be put in small containers and kept in your refrigerator. Then you can throw some berries or other fruit on top and take this fiber-filled oatmeal dish with you to work. I found this recipe from the website Budget Bytes and I love this idea that I just had to share it with you. You can place chopped up vegetables, cooked sausage or hash-browns in a wide neck ceramic dish. This can be stored in the refrigerator and then you add a raw egg on top and microwave for 15 second increments, stirring in between to carefully cook that egg and create a breakfast scramble. There are lots of creative recipes that you could follow. You could combine bacon, hash-browns, cheese or you could make a veggie themed scramble with spinach, tomatoes and feta cheese. Obviously each meal that you eat makes a difference in your overall health and eating a healthy lunch is just as important as a healthy breakfast. With work and school it can be rough to have time to pack something ahead of time and take it with you. There are a couple of ideas here that I think would be easy to pack ahead of time and take with you. This can be a easy dish to put in a container, because it could look different each week depending on what leftover pasta options you might have in your refrigerator. You could do a spaghetti with a red meat sauce and pair that with some roasted squash (zucchini and yellow squash). You can top with fresh basil and then simply heat this up for your lunch time meal. If you happen to have a left over salad, you could bring that as well. I love burritos and all the ingredients you can pack in that tortilla, but sometimes things can just get messy. That is why I really like this idea of a burrito bowl You can put together in one container all the ingredients you love from a burrito and then heat it up and enjoy with a few less carbohydrates sans tortilla. You can line up your meat or black beans for protein, some shredded cheese, grilled vegetables (like peppers, onions or zucchini), salsa, corn and top with green onions. You can pack some lettuce, avocado or sour cream separately. For this dish you will need two Tupperware or glassware containers. One will be for the lettuce/salad mixture and the other will be for the toppings. You can put your favorite cobb salad toppings together - chickpeas, cubed cheese, chicken slices, bacon, tomatoes, hard boiled egg and then pack your favorite dressing on the side. If you do choose to purchase bagged lettuce, make sure you recognize that something this goes bad faster then whole lettuce leaves. Just plan ahead when it comes to your meal prepping so that you don't create more food waste. Dinner time is often a stumbling block for a lot of people. This is why doing some meal preparation can be super helpful for dinner. The key to being success in making healthy, quick dinner at home is to not spend your whole evening in the kitchen. If you can prepare items ahead of time, cutting, chopping, cooking, etc then you are able to save that time in the evening. You can even cook meals ahead of time and then simply reheat them for dinner. That works as well. Using left-overs is a great way to save time and money as well. If you make a large pot of soup that be easily stored in the refrigerator and reheated at another time will be helpful. You can use that chili, for example, as a stand alone soup or as a topping for baked potatoes. There are so many recipes that you can find online with ideas for quick and easy meals. Once you find a recipe that you like, save it and print it off. That way you can keep your favorites and prepare them again in a couple of weeks. When it comes to meal prepping, the key is to plan ahead and then do a little of that work ahead of time to save you time later. The hardest part to spending the initial time shopping and preparing the food items. Hopefully some of these tips and recipes help inspire you to do some meal planning this next week! 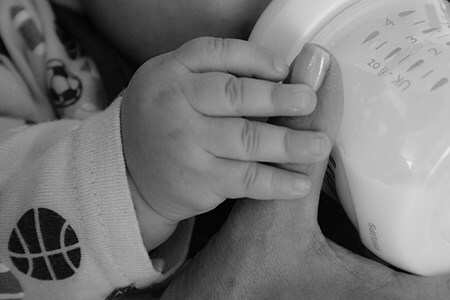 I decided to delve into this controversial debate about breast milk versus baby formula. I thought this might be an interesting blog post for a couple of reason. First of all it had been in the media quite frequently after President Trump tweeted "The failing NY Times Fake News story today about breast feeding must be called out. The U.S. strongly supports breast feeding but we don’t believe women should be denied access to formula. Many women need this option because of malnutrition and poverty." So if you are wondering about this article that President Trump said was Fake News you can find it HERE. I would encourage you to read through it and see what your thought are. The main accusation against the United States is the reported situation as follows ... "American officials sought to water down the resolution by removing language that called on governments to “protect, promote and support breast-feeding” and another passage that called on policymakers to restrict the promotion of food products that many experts say can have deleterious effects on young children." That might not have been that big of an issue, but when other countries didn't come to back the United States' proposed changes then things got more heated. "When that failed, they turned to threats, according to diplomats and government officials who took part in the discussions. Ecuador, which had planned to introduce the measure, was the first to find itself in the cross hairs. The Americans were blunt: If Ecuador refused to drop the resolution, Washington would unleash punishing trade measures and withdraw crucial military aid. The Ecuadorean government quickly acquiesced." That is the part that bothered me. I don't think we should go threatening countries to get policy changes. That is something that I think is wrong and seems to be behaving kind of like a bully. So that is the main part of the debate ... how to categorize this formula products. I know it seems like a simple issue, but it can have big ramifications. Food is a complicated thing and when it is regulated different can lead to a large variance in products. The supplement industry is that perfect example. That is the under the Food and Drug Administration and anything classified as a supplement doesn't meet the same scrutinized criteria as other actual food items. So companies can put whatever health claims on those products and they aren't held to the same regulations as the food industry. I would say most of the time that can be ok, but I understand the concern voiced in the VOX article about how toddler formulas are regulated, because if they are labeled as "breastmilk substitutes" that would change their nutrition make up and how they are marketed to families. There was another story published on NPR on this topic and I wanted to make sure you had access to that as well, CLICK HERE. I think that this debate is not other and the formula industry does have a lot more money to lobby with compared with advocates for breast feeding. They are pushing a product and want to make money. That being said I believe in a baby being fed and healthy and that can be accomplished through either breast milk or baby formula. 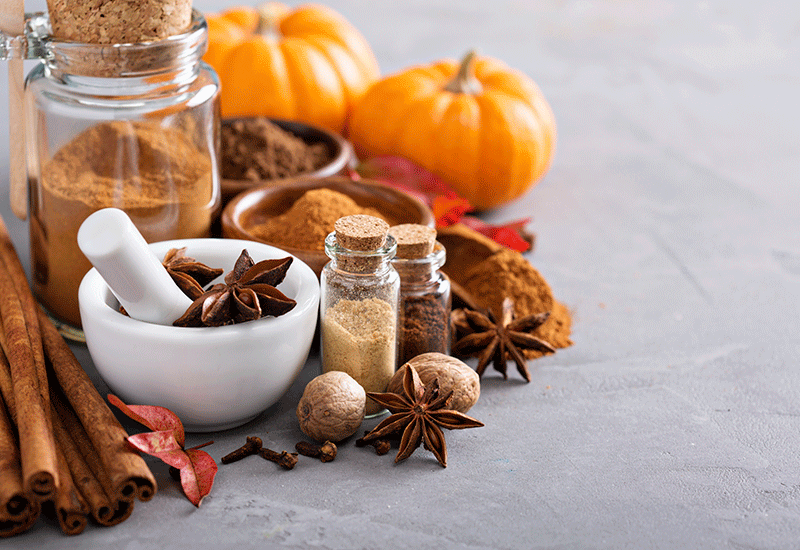 The debate here isn't necessarily which is better nutritionally, the debate comes down to money and how these formulas are categorized. That will then have a big influence on the products that are manufactured and then marketed to families. I would say our country has come a long way in encouraging mothers to breast feed and educating families on why that is the best thing for your baby. I think like any basic mothering skill, there are so much emotion that gets ties into this topic and can lead to guilt and regret. That is another blog post, but I wanted to make sure that you got some information on this debate and maybe some more insight as to why the President cared if women were breast feeding or using formula. So this post is late. Normally I post on Mondays and I get that up in the morning or at least by the end of day. Well Monday came and went and I wasn't feel super inspired to write a post. There wasn't anything rolling around in my brain that I thought was super exciting to share with you. Well inspiration finally struck today. I figured I wanted to share some honest struggles with you about sticking with a budget and saving money. That is the most exciting things that I have been trying to work on recently. Our family has both myself and husband working full time. We make an "ok" salary between the two of us (especially compared to people in other countries we are very blessed). We also have our far share of loans. Between my husband's car and then his school loans we also have a decent chunk of our income going to pay for those things. When it comes to money we have save for retirement, but we needed to do a better job at saving our the rest of our income. 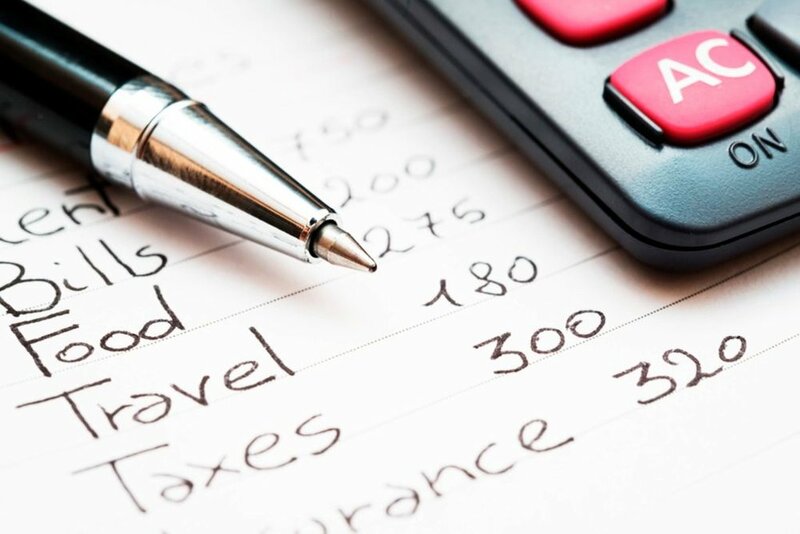 The retirement is easy, because it gets deducted from your paycheck and you never see that money, but the money that you actually bring home is tougher to save. I try really hard to cook meals at home, but we do eat out occasionally. But I never thought we spent tons of money, but after some serious self-reflection we are working hard to try to change some habits and actually save more money. I have to admit, working at saving money is probably one of the most changing things I have done. I have done lots of hard things, but this has to be the slowest, and the hardest to stick with. We have really ambitious goals for our much money we want to save and to get there we needed to make some adjustments. We have cut out all extra spending. So we will still purchase things if they are needed, but nothing else extra. For example, on Amazon Prime Day we ended purchasing a bowel for William to learn how to use, dog treats for Einstein and a bike rake for Chas' bike so he can bike to work. Nothing extra, nothing that wasn't something we would already plan to purchase. It is hard. When you try so hard to save and then you don't see that much more money in your account it is depressing. You realize all the little things add up. That cup of coffee, plus that bottle wine or that time you went out to eat can easily add up to $50 without you noticing. You have more free time. When you spend less money, you spend less time at stores and you have more free time. That is always a win. Trying to find things to do that we can do for "free." We have memberships to a couple of museums and we can totally go enjoy those activities because they are already paid for. That is a great way to do something fun, but not spending more money. Hang out with other people who are saving money. That always helps. There is nothing worse than hearing about someone's trip somewhere and you realizing you can't take a trip right now because you are trying to save money. So find some like minded friends and spend time with them! Find ways to make enjoying at home fun. I have been trying to find cheap, healthy ways to prepare food at home and not miss eating out as much. For example, we made homemade Udon soup last weekend and it was amazing and way cheaper than eating out. Hopefully this post helps encourage you that if you are interested in working to set a goal, saving money or something else .... that you stick with that goal and moving toward that end goal. It is small steps that hopefully add up over time to big changes. But until then ... we will be hanging out at home, eating popcorn on our couch and watching Netflix and trying not to spend extra money. I have been loving this summer weather. We are done with June and offically into July. That means lots of fun summer time activities and celebrating with cookouts and picnics. It is easy to some times think that there are not ways to include healthy foods at your next cookout. That is what I wanted to share with you today ... some creative ways to include healthy foods for your next picnic or cookout. Fresh Produce. The summer time means there are lots of fresh produce items that are in season. Your local Farmer’s Market or even the grocery store will be filled with healthy, fresh produce options that are all starting to be in season. From the berries to watermelon, tomatoes and lettuce all of these items are now coming into season. That means that you can purchase these fresh items more locally. They will be fresher and even more delicious. I would encourage your to include all of these fresh produce items into your cookout menu. They can be raw with a fun dip or you can throw these veggies or fruit on the grill to bring out different flavors. You can make a salad and combine a variety of different produce items with a delicious dressing. Lots of these fresh produce items are easy to pack up and take with you to an event. If you are looking for some good recipes - CLICK HERE for a great list from Clean Eating Magazine. Temperature Danger Zone. When you pack up your food to take it on a picnic or when cooking out make sure that you keep your cold food cold and your hot food hot. It has been easy for cold food to start to warm up and get in that temperature danger zone. Try to keep your food outside the range of 40-140 degrees F. When your food is within this temperature range it can become a petrie dish for bacteria to grow and potentially cause food poisoning. When you pack cold food items, use ice or ice packs and keep them in a cooler. If you are bringing hot foods or preparing hot foods on a grill, make sure that you eat them right away and don’t leave them out so they fall within that temperature zone. Wash Your Hands. One more food safety tip, bring hand santizer. I know that sounds simplicist, but it is important to practice safe food handling, even when you are eating out at a picnic or cook out. If you are handling raw meat, ideally, use water and soap and wash your hands. Hand santizer is a good alternative, if you don’t have water and soap available. Keep your hands clean when you are preparing foods and when you are also eating food. Stay Hydrated. If you are spending an extended time outside, make sure that you bring plenty of drinks. With this warmer weather outside now, staying hydrated is very important. If you enjoy an alcoholic drink, that is fine, but remember that may lead you to getting dehydrated faster. Bring plenty of water or other healthy beverages. Watch out for sugary drinks, because those are often filled with unneccessary calories. Enjoy the summer and this chance to get outside and grill out. Try some new recipes and remember to keep your food at safe temperature to avoid any unwanted foodborne illness issues. I have had the privilege to get to volunteer at the Diabetes Youth Foundation of Indiana’s Summer Diabetes Camp in Noblesville, IN. This is the 4th year that I spent a week at camp serving as the Registered Dietitian on staff. My job isn’t super glamorous, but it is fun. I get to work in the kitchen to organize and prepare the meals for the campers with food allergies. One in sixty Type 1 Diabetic patients also have another auto immune disease like Celiac Disease. So this means that these campers require gluten free options and often other Type 1 Diabetic people have other food allergies (issues with peanuts, dairy, soy, etc). To help accomodate these special needs, I work to provide options for these campers. Throughout the week, I work to prepare meal and snack items that accomodate those dietary restrictions our campers and some staff have. I worked in a camp kitchen before, back in 2008 I was a cook at Camp Lakeview for a summer. There is a special place in my heart for camp kitchen staff. I enjoy being able to give back in this way and help to make some of these speciality food items. I love being at Diabetes Camp, because it provides a place where these Type 1 Diabetics get to be “normal.” Checking your blood sugar is normal. In fact, if you are at camp and don’t have diabtes, that is more abnormal. I have really enjoyed getting to know the staff and campers. It has been fun to go back year after year and see these kids grow up and get to help them learn to love camp as well. Like I said it isn’t a glamorous job, but I think it is super important. All of us have to eat and we do it at least 3 times a day for meals and hopefully 1-2 other snacks included in there as well. For someone with Type 1 Diabetes that means that they have to account for everything they put in their mouth, dose their insulin and track what their blood sugars are. That can make meal time a stressful experience. I have to imagine that spending a week at camp where you have medical staff helping to track and manage your diabetes has to be a welcomed relief. A chance to be surrounded with all of these other people with Type 1 Diabetes and get to have fun while knowing your diabetes is being taken care of. All in all it has been a great week. Lots of early morings and long days, but it was a ton of fun and I really enjoyed the chance to volunteer. It is always a great way to spend a week! I was asked to be on WTHR and talk about Summer Time Weight Loss Strategies. I know I had already posted on some of my experiences about this topic the other week. I thought since I took the time to put together some information for that TV segment I would share those tips and tricks with you all. Summer time is a great opportunity to work on losing some extra weight. The days are long, the weather is warmer and people often have some time off of work. If weight loss has been one of your goals during this year and you haven't hit those goals then take a moment and read through some of these strategies that I am going to share with you. Get outside. One of the best things about summer is the longer days and the warmer weather. You can often find lots of different types of activities that get you moving outside. Any type of activity that you can do outside can count towards burning calories. Everything from mowing the lawn, washing the car, playing with your kids at the park and even walking your dog. Most of us sit at our jobs and we don’t get in that goal of 10,000 steps per day. If you are able to walk to the library or the grocery store near you, take advantage of that opportunity to get in more steps. If you want to do something more demanding take your family with you on a bike ride or on a run. There are also lots of summer activities like swimming and hiking that you can do outdoors and that is physically challenging. Drink wisely. During the summer, we enjoy nice cold beverages. It is important to be aware of what is in your favorite cool drink. If you drink alcohol there are calories in that beer (154 calories/can) or wine (125 calories/5oz) and if you prefer a mixed, sugary drink there are quite a few calories hidden in there as well (455 calories/8oz for a margarita). Work to minimize the number of calories you are getting from your drinks. Make sure that you are getting enough water. Your body is made up of 60% of water and staying hydrated during the summer time is extremely important. Carry a water bottle with you or have a container of water with you at your desk throughout the day. Pick fresh foods. The summer time is when most fruits/vegetables are in season. That means that you can purchase fresh produce at a much cheaper price compared with in the winter time. Stock up on these nutritiously dense fruits and vegetables throughout the summer. These produce items are also low in calories and high in vitamins/minerals which helps keep your body functioning well. You can get these fresh items from your local grocery store or Farmer’s Market. You can even grow them in your backyard. That is a great way to incorporate exercise, saving money and learning where your food comes from! If you purchase or grow extra of these produce items you can freeze or can them for the winter. Get plenty of rest. With the longer days during the summer time we often want to do more things and end up getting less sleep. Sleeping is the one time your body gets to relax, rebuild and recharge for the next day. Don’t short yourself the amount of time you sleep. Try to get to bed at a decent time and aim for 6-8 hours of sleep per night. When it comes to weight loss, getting adequate rest will help your body lose weight. Avoid late night snacks. If you are getting adequate sleep and going to bed earlier you are often able to avoid late night snacking. This is such a stumbling block for people and often people end up eating empty calories. If you want to decrease your calorie intake to lose weight, you have to stop eating by 8pm at night. That cut off will help empower you to avoid eating unhealthy things late at night. Often people have cravings for unhealthy food items and over eat during this late night time. If you work hard to go to bed earlier, that will often help to eliminate this temptation. Losing weight this summer is something that you can totally do! There are so many ways that you can make a healthy lifestyle change. Aim for making small changes and stick with those changes to help ensure that you are successful. I felt lead to write another Baby Lead Weaning post and I thought I would answer some commonly asked questions that I often get from parents about Baby Lead Weaning. This is a topic that I really enjoy discussing with people. I love food and I think that teaching that love to food to our children is important. I believe that Baby Lead Weaning is one of the best ways to help instill within children a love of food. When can you start Baby Lead Weaning? You can start giving your child soft, solids when they are 6 months old, have good head control and can comfortably sit up in a high chair. You also want your child to be showing signs they want to try to eat (reaching for foods that you are eating, watching you eat, etc). You want them to be able to do these things first, because then you know that they have the strength and stamina to handle solids. What do I feed my child? Anything that you are eating. Especially at the beginning start with soft solids (fruits, cooked vegetables, beans, tofu, etc) and then as they get older you can move onto harder food items. There is no need to purchase "special" baby food items, give your child what you are eating! What if my kid chokes? There is a difference between choking and coughing. Coughing is normal for every child. The key is not freaking out. Your child coughing is sign that they took too big of a bite, and they are trying to clear their airway. Do not pat them on the back to “try and help.” That could actually make them choke. Choking is when your children stops coughing and is no longer making noise. That is a sign their airway is blocked and that is the time to intervene. This would be the time to do the strongly pat their back over your knee and help to dislodge that food item. Choking is not common with Baby Lead Weaning. Coughing is common, especially at the beginning. Your child has to learn how to manipulate that food in their mouth to chew, swallow and breath. It is an acquired skill and takes practice. You don’t use store-purchased baby food? No purees? Nope. Don’t spend more money on commericial baby food. It is a gimmick and your child doesn’t need it. Offer your child foods that you eat at the dinner table. Start with soft foods, cut in long pieces so they can grab them with their hands and feed themselves. It is great to teach your child independence and encourage them to try new foods. Begin with cooked vegetables, soft fruit, soft grain items like puffs or mumums. These items turn into purees in their mouth and they can safely manipulate them. This also means that you make 1 meal and everyone gets to eat it! My kid has no teeth, how can they eat table food? Children want to eat what you are eating, why feed your child something different. Yes, your child may not have teeth, but that is why you start with soft food items that they can eat on their own. This teaches them how much food they can fit in their mouth and how to properly chew and swallow. They don’t need teeth for these soft food items you are feeding them. What if my kid gets messy? Your kid will get so messy, but that is part of learning. Eating is more than just putting the food in your child’s mouth. It involves the smell, the texture, the taste and the different flavors. This also allows the whole family to sit down together at the table. You don’t have to feed your child seperately. Family meal times have been proven to help strengthen those family connections and help child grow into better, more well-rounded individuals. What if my child doesn't like the food? That is fine. It takes children upwards of 15 times of being exposed to a food to really determine if they dislike it. Always offer foods that they like and new foods as well. Remember, if you child chooses not to eat, that is fine. There will be another meal in a few hours and they will not starve. What is the biggest challenge with Baby Lead Weaning? Trying to work in variety. I think it is so easy to get in a food rut, but trying to mix things up and trying new recipes is key. Getting your child to try 100 foods by the time they are one is totally possible. This is from the Fortified Family website and Katie Ferraro's website/books are amazing! I think a lot of times as parents we are the ones that end up holding our kids back. We are the ones who limit their creativity or keep them doing crazy things. Yes, some times it is merited to protect them, but with food I feel that it is so important to let them explore, get messy and learn to eat all the different food items. 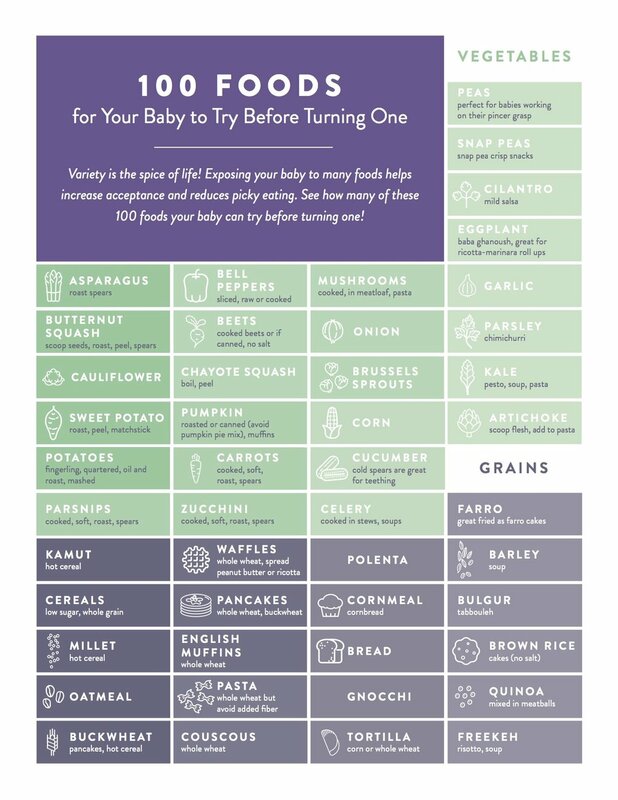 If you have any other questions about Baby Lead Weaning, feel free to reach out to me! I set a reminder on my phone to check back in with you all about my fitness/nutrition goals this week. If you remember my post about 4 weeks ago was about getting back on track and trying to use My Fitness Pal again and change up my fitness a little bit. If you want to read that first post - CLICK HERE and it will catch you up to speed. Do sit ups/planks before going to bed (spend 5 minutes doing a little core strengthening before crawling into bed). I want to do this during the week (Monday through Friday). Track what food I put in my mouth using My Fitness Pal. I want to track my intakes every day for the next month. I want to see trends in how I am eating during the week and the weekend and see where I can make some changes. Start some new strength training. I have some credit to go to a yoga class. I want to start my attending a yoga class at this new studio and try to go 2 times in the next month. I also would like to lift some weights at the gym. Goal is work out at the gym and lift weights 4 times in the next month (that could be once a week over the next 4 weeks). I wanted to do a check in about 4 weeks later and see how things were going. I think that is one of the big things that people often fail to do ... follow up and check back in on their goals. It is easy to forget about them if you don't set a reminder. So how did things go over the last 4 weeks. (I am giving myself 1-5 rating on how I did with these goals, 1=didn't happen, 2=did it occasionally, 3=did it half the time, 4=did it most of the time, 5=did it all of the time). As you can see I did ok with my sit ups and with using the My Fitness Pal app. I didn't make it to a new yoga class at all and I didn't go to the gym to strength train. I wanted to outline some obstacles that got in my way as well. That is important and often another thing that happens, people just give up and don't stop to recognize things that kept them from accomplishing their goals. I don't want you to see these as excuses, but instead things that kept me some successfully accomplishing my goals. Work was crazy busy. We launched a new program in our formula room that affected how baby feedings were ordered and that went live May 29th. So for the two weeks after that Go Live date, things were nuts. Long hours, weird schedules and no time to fit in working out or trying out a new class. Vacation. We went on a family trip over the Memorial Day weekend (Friday through Monday) and I choose not to stress about using My Fitness Pal. I enjoyed some yummy food and didn't track my intake/exercise. Now you may have noticed that none of my weight loss goals had to deal with actual weight loss. I did weigh myself back on May 14th and I was 140lbs and I weighed myself again on June 8th and I weighed 136.4lbs. So that is just shy of a 4lb weight loss over the past 25 days. That is an average of 1lb/ week. So even though I didn't accomplish all of my goals like I would have hoped, I did make some changes and I do feel better about what I have accomplished. So now it is time to rethink through those goals and come up with new goals for the next 4 weeks. Keep ... Do sit ups/planks before going to bed (spend 5 minutes doing a little core strengthening before crawling into bed). I want to do this during the week (Monday through Friday). Keep ... Track what food I put in my mouth using My Fitness Pal. I want to track my intakes every day for the next month. I want to see trends in how I am eating during the week and the weekend and see where I can make some changes. Keep ... Start some new strength training. I have some credit to go to a yoga class. I want to start my attending a yoga class at this new studio and try to go 2 times in the next month. I also would like to lift some weights at the gym. Goal is work out at the gym and lift weights 4 times in the next month (that could be once a week over the next 4 weeks). I am going to keep the same goals and work really hard to actually try to accomplish my #3 goal ... trying a new form of strength training. I want to get to a class and try really hard to do that so that I find another way to stay active that isn't just running. Hopefully this has been helpful to see how setting goals for yourself and following up with those goals can help you accomplish what you have set for yourself. It is possible, it just takes some patience and willingness to stick with your goals! 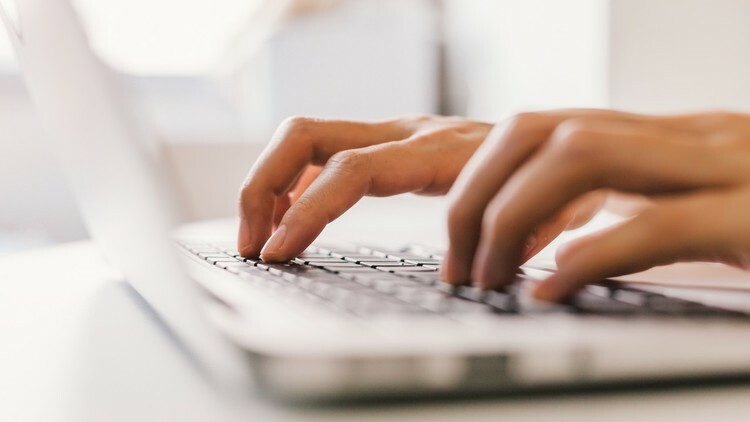 This week I had very limited time to work on a blog post. It has been a crazy week. I have been at work so much trying to get a new system up and working in our formula room. It was been nuts. We had been on a short vacation time to Chattanooga, TN over the holiday weekend and that was amazing. Coming back to a weird week at work after a vacation is rough stuff. I thought it would be fun to write up a little bit about our trip to Chattanooga and then talk about some of the new places where we ate. We had a fun trip down to Tennessee. We were able to leave early in the morning on Friday and then came back on Monday. It was a 6.5 hour drive from our house to Chattanooga. We took William and our dog, Einstein. It is always an adventure traveling with a toddler and a dog. Thankfully the dog is easy to travel with, it is the toddler who can be crazy. We were able to get at almost all local restaurants. That is a fun thing that we try to do whenever we travel, eat at only local places. We did stop by two fast food restaurants because you that is life when you travel. Embargo 62 - This was a great cuban restaurant in Chattanooga, not far from our Airbnb. 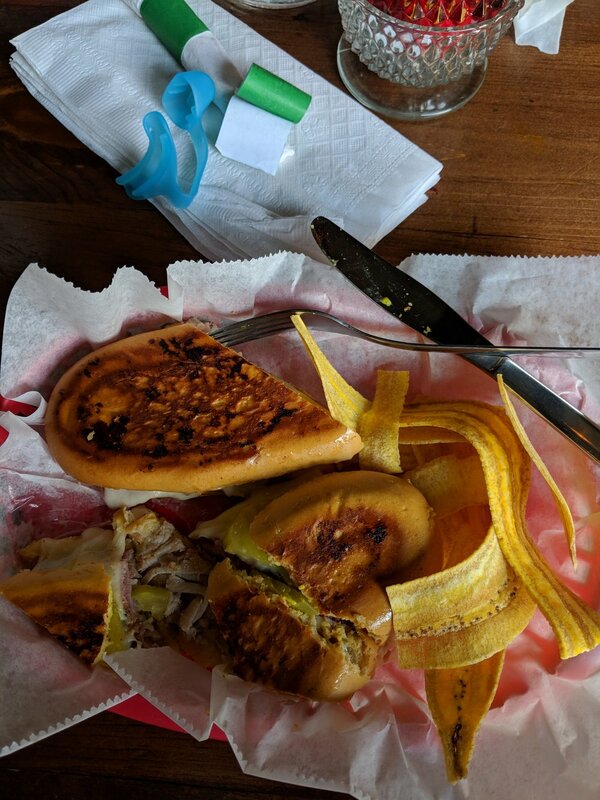 I have been to a Cuban restaurant in Indianapolis, but have limited experience with Cuban food. This was amazing. We got sandwiches and they were yummy! They came with fried bananas and it was delicious. We definitely recommend this place! Edley’s BBQ - This BBQ restaurant was also near where we stayed and it was soooo good. I think this was the best meal we had the whole weekend. I got their brisket tacos and they were amazing. I loved the slaw that was on top and the meat was smoked and just contained so much flavor. I am sure there are lots of good BBQ places, but this one was definitely top notch in our opinion. The Daily Ration - This was the brunch spot we went on Sunday and I struggled to only pick one thing on the menu. There were so many amazing choices, from sweet to savory it was all so delicious and presented beautifully. I got the coconut chai bowel and shared that with William along with a breakfast sandwich. Chas got the Kimchi rice bowel and he ate the whole thing. It was a hit. Milk and Honey - This was a super cute coffee shop and restaurant. They had so many different food and drink options. There was something on this menu that everyone would enjoy. Their signature, Milk and Honey latte was quite good and we got some other amazing brunch items the day we headed out of town. Definitely two thumbs up! We ended up ordering some food from other restaurants and had it delivered to our Airbnb houes. Sometimes with children it is just nice to eat at home and not always be in a restaurant. These places were definitely some of our favorite food spots. We also took the time to go to a couple of fun places. We went to Lula Lake, which is a land preserve on Lookout Mountain. It was amazing. We hiked and got to see a beautiful water fall. We also took a tram up Lookout Mountain and that was fun to be able to see all above the city. One afternoon we walked into downtown, across the river from our house. It was a fun-filled weekend with out friends Joshua, Angela and their son Henry. We loved out time in Chattanooga and if you want a fun place to go that isn’t too far away, check it out!